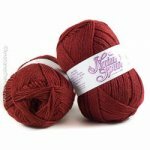 Yarn: 550, 600, 650, 750, 800 yds worsted weight Fast and easy felt clog slippers knit with double yarn. 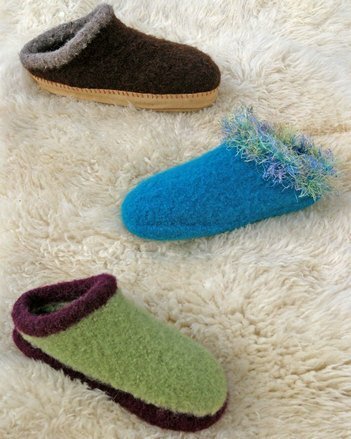 Designed to create a very thick, firm fabric when felted, they feature double soles for extra comfort and longer wear. Choose a classic low heel, or a higher, more closed heel as shown in orange. Join soles with a contrasting colored "bumper" as shown on 2-color clogs, or with a plain join as shown on solid colored clogs.